A few years ago (actually, about 4 years!! Where does the time go!?) my husband brought an enormous trout home after fishing for an afternoon. 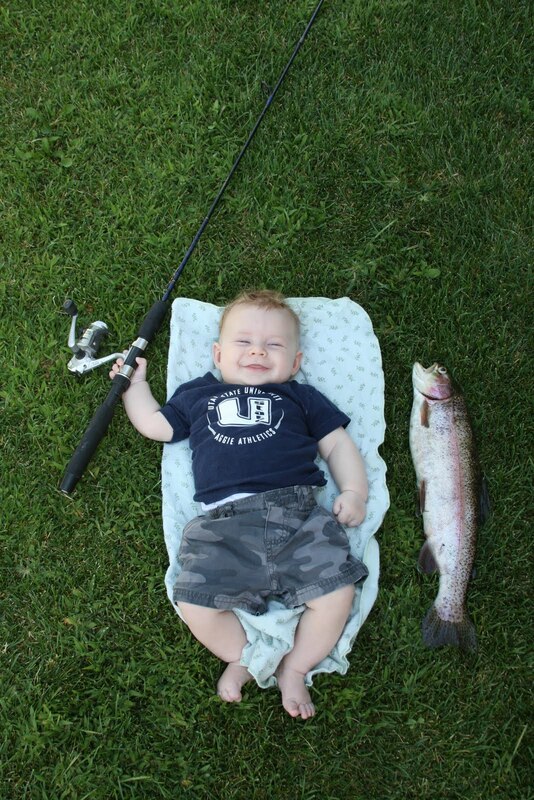 Okay, so it was a pretty normal size trout, but for the tiny stream he fished in it seemed enormous. My boys were little, so I think we got three meals out of that thing. After the first few nights I was sick of making the same pan fried trout and decided to try something completely different. 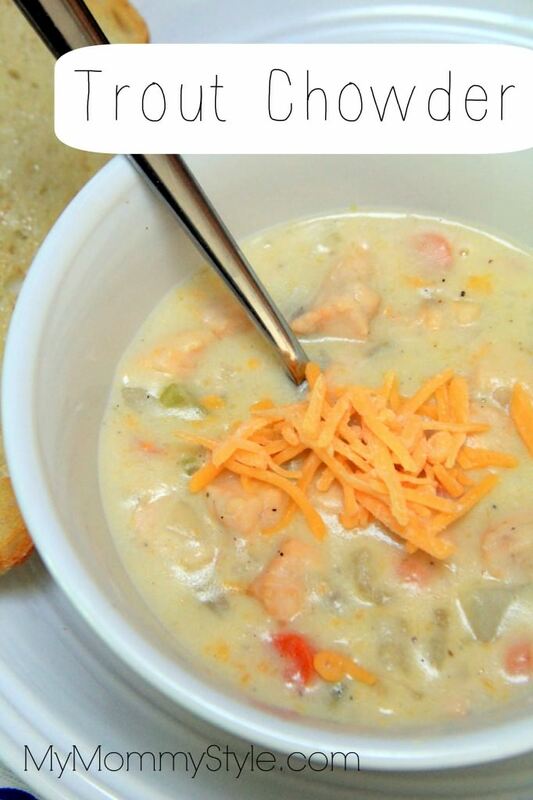 I searched the internet and found a trout chowder recipe. I made it and my husband raved. He loved it, but I wasn’t the biggest fan so I didn’t save the recipe. Fast forward to last week when he brought a beautiful trout home from Montana and asked for the same chowder. I thought it would be easy to find the same recipe since it was the only one of its kind 4 years ago. Well, there are now hundreds and none of the recipes were quite the same as the one I used. This one was the closest and I thought it was better than the original. My hubby liked the first one because it was creamier, but this one is probably better for you. It’s still not exactly healthy, but it’s a delicious, comforting chowder perfect for the fall. This is a good recipe for those of you that don’t LOVE fish. The soup hides the fishy flavor, but it still tastes great. It’s more like a cheesy potato soup that has fish in it. You can substitute any fish you want in place of the trout. 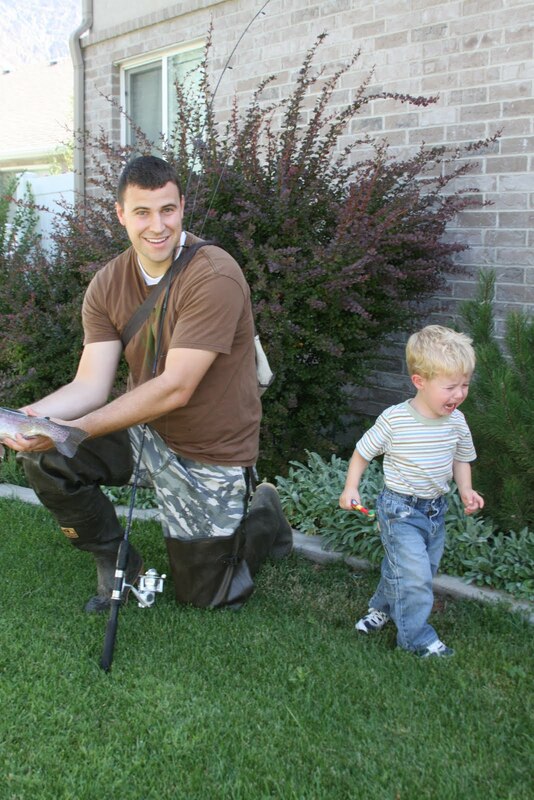 Oh, and before I post the recipe, I dug up the photos of my boys with the fish. One was afraid of it and one just liked the attention. Their personalities haven’t changed much in 4 years! In a large stock pot, melt butter over medium heat and saute the onion and celery until tender. Pour in chicken broth. Mix in carrots, and potatoes and cook 10 minutes, stirring occasionally, until vegetables are tender. Whisk together 1 1/2 cups milk and cake flour. Mix into the stock pot. Mix remaining milk, salt, old bay seasoning, and pepper into the stock pot. Continue cooking the mixture about 10 minutes, until thickened, stirring occasionally. Stir trout into the mixture and cook 5 minutes, or until fish is easily flaked with a fork. Mix in Cheddar cheese, and cook another 5 minutes, until melted.